Miss Berry thanks Mrs. Rigdon for the DAR Chapters' donations. 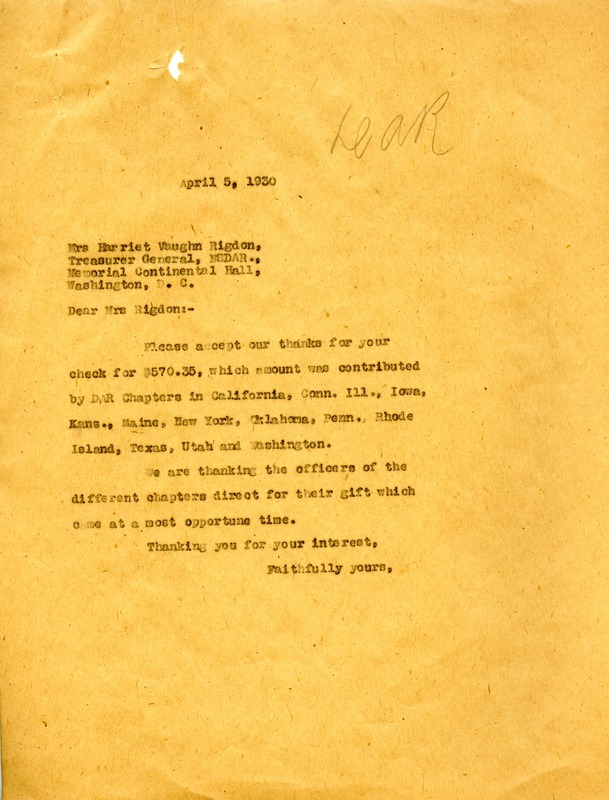 Miss Martha Berry, “Letter to Harriet Vaugn Rigdon from Martha Berry.” Martha Berry Digital Archive. Eds. Schlitz, Stephanie A., Meg Ratliff, Rachel Renaud, et al. Mount Berry: Berry College, 2012. accessed April 21, 2019, https://mbda.berry.edu/items/show/2249.